[Collapse of the IBT], 28th Oct 2018, http://bolky.jinbo.net/index.php? Socialist Fight Comment: The comrades of South Asia correctly identify the central problem of the iSt (Spartacist) tradition; weakness on and then outright capitulations to imperialism, an identification Socialist Fight and our international comrades in the ICFI have always made. This is forthright stuff. Amusingly both the IBT (Imps) and the BT (Nimps) identify this material as ‘right wing’. The left-wing pro-imperialists and the right wing anti-imperialists! We have no hesitation in endorsing almost 100% of these statements. It’s now clear. Once providing a revolutionary platform with a considerable revolutionary program, the IBT has succumbed to imperialist pressure and lost its revolutionary ability. It is no longer possible to be a revolutionary pole. 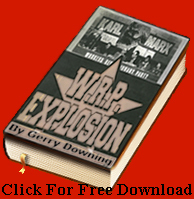 It has flinched from the struggle against imperialism, particularly the USA. The ‘Defenders of Seymour’s Marxism’ (we are calling both of Tom Riely and Bill Logan’s faction because they identified themselves to defend Seymour’s formula on national question as a precious revolutionary ‘tradition’ in the debate against us.) are seeking the line of least resistance, revising Lenin and Trotsky’s lessons. The main political axis of both is not of revolutionary vanguard but of opportunist petty-bourgeois discouraged by imperialist pressure, as described by Trotsky. Imperialism is the main origin of almost all opportunism in this epoch since the first world war and many of the individuals and groups, once revolutionary, have been victimized by the imperialist pressure and have become a part of the ‘tradition’ of opportunism. We have done our best in the last decade to prevent the political degeneration, to keep the Lenin and Trotsky’s guidelines, and to clarify the differences. 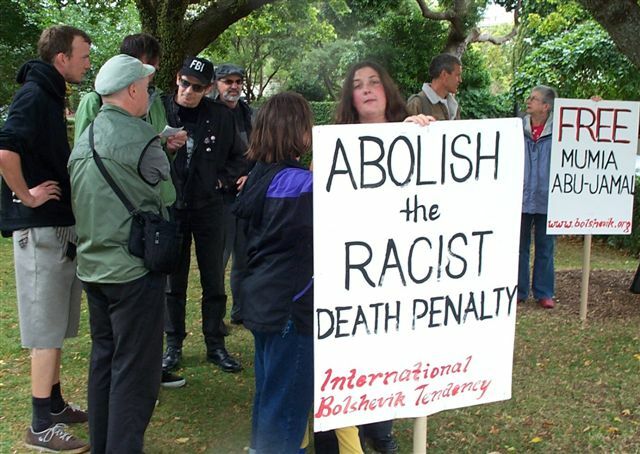 However, the IBT has become one of the parts in the opportunist tradition. Including Riely’s group that abruptly ran out before us for absurd reasons, “to undo the 1990 fusion”, the IBT no longer be a carrier of revolution, but became the first chain, like Kautsky, which transmits the imperialist pressure to the working class. This was written just after the departure of the Riely’s faction to point out the factual faults of their resignation letter, “Farewell Comrades.” But it was refrained by Imps. It is an unexpected letter to us so that we were a bit shocked. But in this comment, we’d like to only point out the things that we think you comrades misunderstand or misinterpret the facts in the letter. You describe that the debate on Turkey and Egypt was between “nimps” and “imps”. But it was not. As you could not deny, we are nimps and perhaps we are the most radical in that position. We are not ‘passive’ or ‘auxiliary’ supporters on ‘Turkey and Egypt’ issue. We had initiated the position from the outset until the other comrades finally supported the position to reach the majority in the last conference. The debate was not only on ‘democracy’ but also ‘imperialism’. Actually, the main reasoning of our position, at least of EA, was not on democracy but on imperialism. While you stressed on ‘democracy’ ignoring imperialist motives in those events in Turkey and Egypt, we strongly and consistently emphasized imperialist factor. 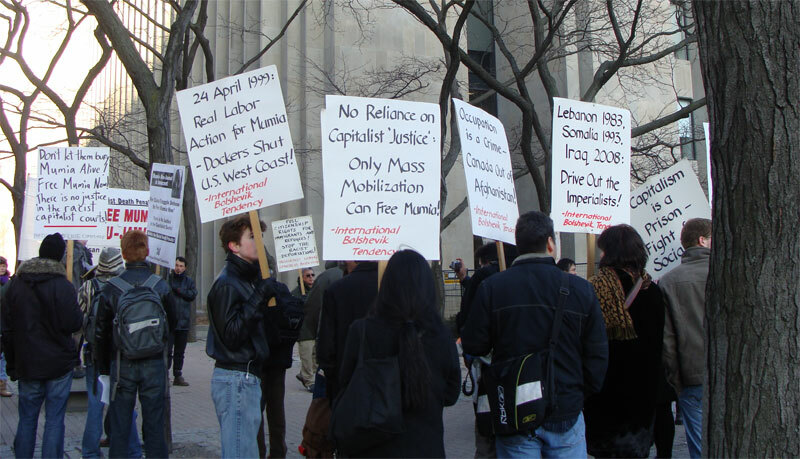 We see that social disturbances in Libya, Ukraine, Egypt, Turkey, Syria, and Venezuela are of the results of the crash between imperialist regime management and the domestic people. Of course, 1979 Iran event was too. Maneuvers to change the regimes which do not serve the interest of imperialism, to build the puppet regime and to defend it from working people’s insurgency. –It seems that you have a tendency to politically dismiss EA comrades, distorting the details of the history and neglecting our contributions. –We think that the axis which penetrates the two issues (Russia/the coups in Egypt and Turkey) which made the deep crack between 3 factions in the IBT is imperialism. Not the old formations of 28 years ago, but the question of imperialism, the greatest pressure which diverges almost all kind of opportunism in the last hundred years of capitalism. 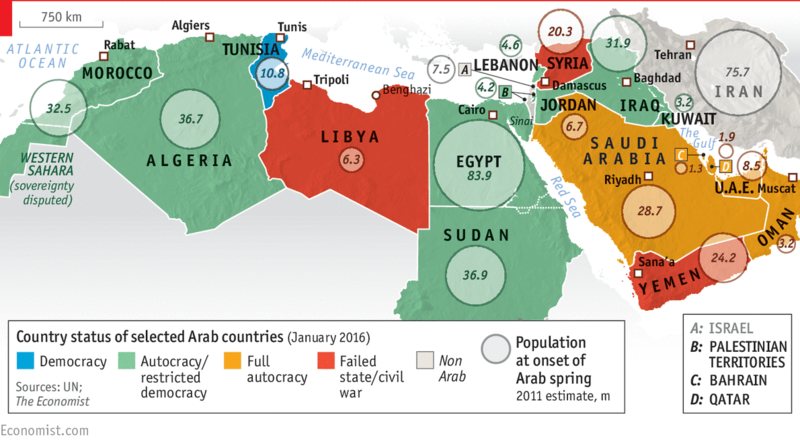 The debate on the questions of Iran, nationalism, and imperialism started after the military coups in Egypt and Turkey, in 2013 and 2016 respectively. Tom et al have argued that the iSt’s neutralist position in 1979, “Down with the Shah, Down with the Mullahs”, should apply to Egypt and Turkey as well. From the point of view of the political components, Egypt and Turkey’s situations in 2013 and 2016 were quite similar to that of Iran in 1979, so that might be formally logical and consistent, but that position is tactically incompetent and ultra-leftist. Therefore, the question of Iran becomes practical and contemporary. We studied the question and concluded that the iSt’s position on Iran in 1979 and its application to Egypt and Turkey reflects only one face of the strategic principle. It is a tactically inept position, which would have led us to disastrous defeat. We should have taken the side of the anti-Shah struggle, in which the radical part the Islamists involved along with the working people, without giving any political support to the Islamicists, while politically preparing the overthrow of the radical Mullahs. That’s the position we have learned from Trotsky who clearly crystallized it, especially in his “On the Sino-Japanese War” and “Ultra Lefts in General and Incurable Ultra Lefts in Particular”. In our study on the question we have found that the IBT and the iSt tradition have much too frequently taken that kind of neutralism in cases of imperialist aggression against colonies of the US. Besides Tom et al’s argument on Egypt and Turkey, neutralism on the maneuvers to change the disobedient colonial regimes by imperialism in Libya, Ukraine and Syria are recent examples. Defining actions against regimes when the imperialists are acting through domestic forces as merely civil war and taking the side of the targeted regimes only when the imperialists are involved directly in combat is not revolutionary. This is at best humanist, but it abandons Leninism on the national question. That position wastes critical time, failing to take practical measures to defend the victim of imperialist aggression at the outset while making claims to be anti-imperialist. It takes the side of the imperialists’ target at a time when support is useless. And it pretends to be anti-imperialist. Perhaps that might be better than the IS’s position which describes the imperialist proxy forces as “revolutionary”, but practically it is also in the service of imperialism. 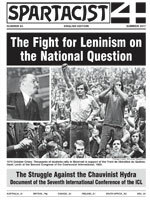 The ICL’s “The Struggle Against the Chauvinist Hydra” gives a useful hint to us on where the frequent neutralism on imperialist involvements found in the iSt tradition comes from: “Despite all his efforts, part of the American leadership developed a chauvinist, anti-internationalist line, opposing national liberation struggles in multinational states.” This article shows the likely root of the apologist positions on imperialism, involving an extremely weird attitude of the iSt’s Maximus leader. According to the ICL’s Hydra document and our two articles criticizing it, the iSt was already a nasty racist organization at the time that we describe it as a “revolutionary organization.” The leader’s racist rhetoric had been accepted without any significant internal struggle. Even when there was an acute appeal against his nasty words from the other leftists, the iSt just ignored this language and kept silence. There was no internal resistance neither. After the Second World War, the struggles for national liberation were intensified by two causes. One is the growth of the working class in the colonies as a result of capitalization initiated by imperialism. The other is the weakening of the former imperialist powers in the colonies by all-out war between the imperialists. The growth of the working class has made direct imperialist rule difficult. Direct rule by foreign imperialists exposed the stark division of society before the working people. So ways to rule the colonies have changed from direct to indirect rule, using the indigenous ruling elites and comprador capitalists as domestic imperialist agents, to avoid direct and fierce struggles against imperialism. Some of the struggles for national liberation have succeeded in overthrowing imperialist agent regimes. And among them, some countries have become workers states with the help of the Soviet Union. So when the colonial regimes are not sufficiently obedient to imperialism for whatever reasons and they have become the obstacles to maximize their profit and interest, imperialists have tried ‘regime change.’ Assassination, military coup, proxy civil war, and direct invasion etc. have typically been used to do it. The iSt tradition has defined imperialist ‘regime change,’ as only ‘civil war’ when the forces involved were only domestic. In these cases the iSt tradition holds that the imperialist factor is not decisive and we should not take sides, covering this with superficially Leninist but ultra leftist rhetoric. By taking the side of the targeted regime only in the last stage of the imperialist operation to change the regime (after failing to take a side in the decisive conflict) this tactic reveals itself as useless in fighting against imperialism and betrays the Leninist duty to support the struggle for national liberation. The 1979 abstention in the working people’s struggle against the US proxy Shah in Iran, was one of the vivid examples which has bent our revolutionary politics toward imperialist opportunism. Some comrades argue that the Shah and the Islamic regime, which was the result of a combination of the Iranian working people struggling against imperialism and the political victory of the reactionary Islamists, are the same. Or they even see the latter as worse than the former — which is an astonishing argument to us. We argue that post-Shah Iran is much better than the Shah’s regime in the international relationship of forces between imperialism and the working class. We stand for the defence of post-Shah Iran in the impending imperialist aggression to restore a pro-imperialist regime, while we give no political support to the regime and preparing its overthrow and the building of a workers’ state. We need to go back to Lenin’s Marxism. The revolution in 1979 in Iran was not an Islamic revolution, but a revolution against Shah regime which was the imperialist stooge. In that revolution there involved various social forces such as radical nationalist, Stalinist guerilla, pro-soviet communists, and secular liberals meanwhile there were many Islam nationalist too. And there also were other Islamist faction which supported Shah and imperialist rule. It was not destined to but was morphed into Islam revolution after a series of power game in a couple of years of time with Mujahedin, fedayeen and Tudeh which Khomeini faction won, in the situation of war with Iraq, the hostility policies of the US against it, passive and defensive policy of the Soviet and popular front position of the Tudeh. The Khomeini’s taking power was not resulted from their political ability but from domestic and international situation and the inability of the leadership of the working class, as like Kerensky took the power. Even though it failed to go further to socialism and degenerated into and set in Islam revolution, it brought meaningful reforms to Iranian people and gave serious blow to imperialists especially the USA. The US lost one of their reliable bridgeheads and Iran became an opponent in that strategic region. So Iran revolution in 1979 was positive one for world working class which we should have sided with against Shah and imperialist. “We regard the SL’s position on “interpenetrated peoples” to be among its most important original contributions to the Leninist-Trotskyist tradition. Robertson, who played a central role in developing this approach, as he did on virtually every important programmatic issue (including Quebec), deserves much of the credit for it. The iSt’s theoretical framework on the national question allowed it to develop a revolutionary position on a range of important conflicts, unlike its pseudo-Marxist competitors at the time.